Why did the founders agree that only 9 of the states were needed to ratify the new Constitution? There were only 9 states at the time that wanted to be part of the U.S. They had learned from the Articles that unanimous votes don't work so they decided on 9. They had always had the rule that 9 of the 13 were needed to make decisions so they kept with that. Who opposed the ratification of the Constitution? What were the 85 essays that were printed in newspapers and later put into a book supporting the Constitution? What name was printed in the papers as the author of the Federalist essays? What state's approval was 'absolutely necessary' to the ratification of the Constitution? What did the First Congress do when they met in 1789? Made the first Cabinet positions. Who thought the Articles of Confederation just needed amended and opposed the Constitution? Who was in favor of a Strong National Government? Who thought that the Legislative Branch needed to have more power than the Executive branch so that the President wouldn't become 'King-like'? 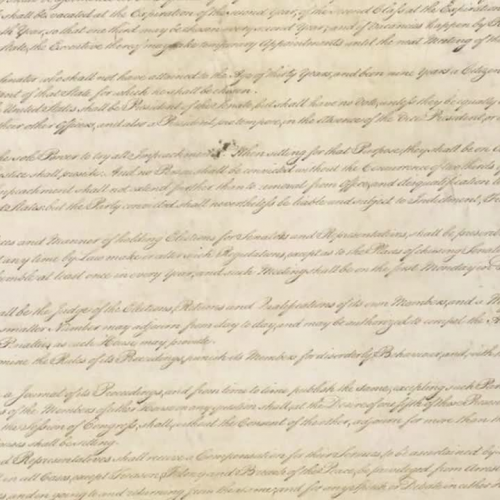 Who felt there was no need for a Bill of Rights because the states already had their own? Who felt there should be a loose interpretation of the Constitution? Who drew support from small farmers and rural areas? Who was in favor of a National Bank?